The Estonian government announced in March that it would offer free genetic testing to 100,000 citizens as a part of its national personalized medicine program. The participants will donate blood samples to the Estonian biobank, which will conduct a genome-wide genotyping and alert those among them who are likely to suffer from conditions like cardiovascular disease, type 2 diabetes, and breast cancer. But this is only the first step of Estonia’s big push into preventive medicine. TNW spoke with Lili Milani, senior scientist at the Estonian Genome Center at the University of Tartu and a member of the national steering group for the personalized medicine initiative. Based on the first 50,000 participants we already had in the Estonian biobank, we’ve found a lot of associations between different genetic variants and common diseases. Since we have the electronic health records of all the participants, we have developed different genetic risk scores and tested how well these can predict whether certain individuals will get sick. Most of the participants were healthy when they joined the biobank, but we’ve seen in their electronic health records that some of them have developed certain diseases within three to five years. The Estonian biobank has created a disease prediction algorithm based on the data — which has already proven to be fairly capable — but the additional 100,000 samples from the new participants will be used to develop it even further. However, this genetic database will not only be used to prevent diseases, but also to improve current treatments. The genome-wide genotyping — along with Estonia’s electronic prescriptions system which already accounts for the cross-reaction of drugs — can help identify individuals at high risk for adverse drug reactions or poor response by providing pharmacogenetic feedback. This means it will be easier to find the right drug and dosage for an individual based on their genes. At present, the Estonian biobank can give accurate feedback for 28 medications, many of which are widely prescribed. These examples also show why Estonia is the perfect place to launch an almost utopian healthcare tool. Estonia has been leading the charge in digitizing its government for years — with initiatives like e-Residency program — and its strong technological foundation is one of the country’s greatest strengths. “We don’t need the participants to fill out lengthy questionnaires or hand in all their health records,” explains Milani. “Everything is already digitalized and we can connect the data from these national health services to build participants’ genetic profile. That’s what makes this project unique.” That means the information is continuously updated, which is invaluable to a research project like this. That’s why Estonia can turn a relatively simple genetic test that costs only €50 per participant (while other more advanced tests can cost up to €1,000) and turn it into a general public health tool, which has the possibility to greatly improve the lives of Estonians. But for it to actually to impact people’s lives, it needs to move out of the biobank and into the doctor’s office — which is exactly what Estonia plans to do. “The genetic risk score will be just another tool for doctors. In addition to measuring cholesterol levels, blood pressure, and body mass index, the genetic risk score will be yet another measurement that our prediction algorithm can use,” says Milani. She explains that they’ve already piloted a number of diseases to be diagnosed by the algorithm, but this currently takes place at the biobank, not in the doctor’s office. “For the genetic information to be used in everyday practice we need to undertake pretty extensive IT developments — which we’re actually starting now. We’re launching the development of automated decision support software for physicians. So when doctors enter various patient data — such as cholesterol level, blood pressure, and smoking status — in the system, then the genetic risk will be calculated by the algorithm, and it’ll provide specific guidance accordingly.” She adds that the final product will be owned by the government, or to be more specific, by the citizens of Estonia. There’s also been a great deal of work put into making the biobank and its allied tools as future-proof as possible. Participants own their personal data and can have it completely deleted from the database at any point. It’s also been ensured that the database can’t be used by insurance companies or for crime investigations by law enforcement agencies — effectively preventing the creation of any dystopian monitoring tools. What’s especially amazing is that many of these things were set up way back in 2000, which Milani attributes to Estonia’s forward-thinking approach to technology. She believes that biobanks like these could easily become a standard for nation states in the future. Creating powerful preventive tools like this can greatly improve the health of a country’s population — saving incredible amounts of money and making healthcare serve people even better. But in order to achieve this, countries need to be prepared and have all the right legislation — and the right initiatives — in place as soon as possible. After adding the 100,000 samples in this round, the Estonian biobank will have the genetic profile of about 10 percent of Estonians. While the best thing would be to eventually get samples from every single citizen, Milani says that it doesn’t mean that the prediction algorithm won’t be beneficial to those who aren’t in the database. “For example, the participants that had genes that indicated risk of high cholesterol levels have been contacted and given a letter to share with their family members. This is called ‘cascade screening’ and can encourage people to come in for investigation that are likely to share those genes,” explains Milani. Milani also points out that studies in Iceland, carried out by gene analysis firm Decode, show that you can, in some cases, extend predictions more accurately to other family members — which could make the algorithm even more effective for people who’ve yet to give samples. In the two months since the Estonian government announced the free genetic testing, around 38,000 people have signed up, so it’s clear there’s a lot of interest for the initiative. 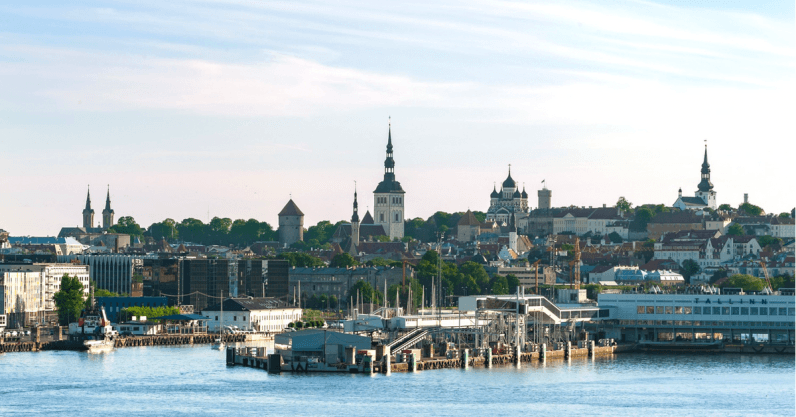 Estonia keeps on paving the way when it comes to adapting digital solutions for nation states and its insistence on going further is encouraging. It’s important that there’s a government out there that’s willing to take this step. There are many promising private healthtech and genetic research initiatives out there, but for it to be actually implemented on a nationwide scale, it has to have government backing of some sort. Fully harmonized data paired with strong public initiatives and innovative technologies could see countries serve their people better in the future.